Bob Bartizek's beautiful Pennsylvania & Western railroad is featured in the July issue of Railroad Model Craftsman and he even made the cover! 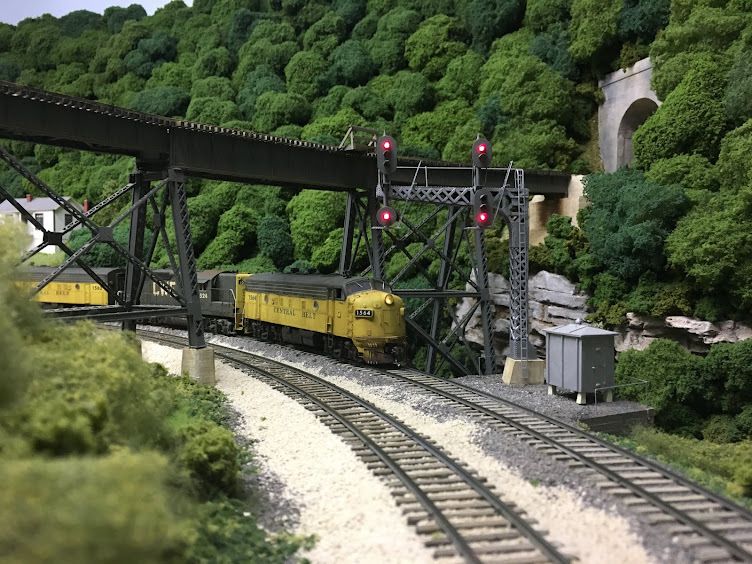 It's a fitting tribute to a beautiful model railroad. There's also an article in this issue by Matt Snell on creating a bicentennial unit for the CWE. Matt describes in detail how he went about creating the paint scheme, selecting the decals and detailing the locomotive. 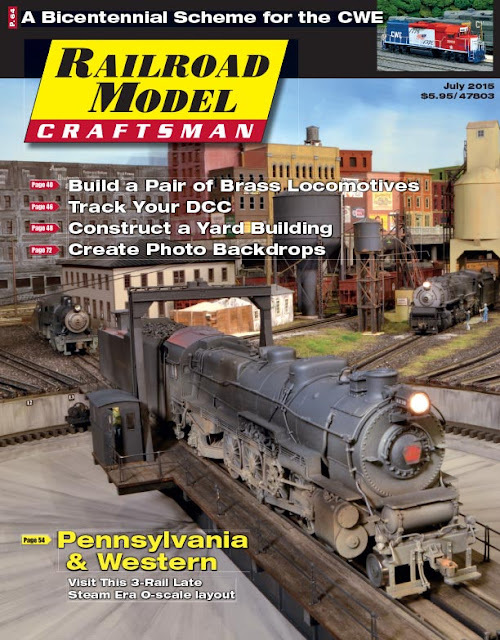 It's another great article from one of the most prolific model railroad authors in the country. Here's a snapshot of the cover that appeared on Facebook.